In his sixteen-year advertising career, Amir Haque has never worked for an agency he didn’t own. He began his career as a business strategist at Boston Consulting Group in Toronto but loaded up his motorcycle and rode to Los Angeles, where he worked at multiple startups including Matchcraft, the first online ad exchange. 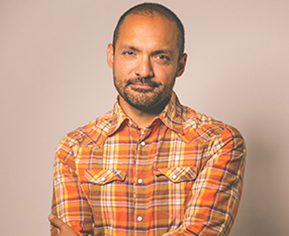 He left Matchcraft to become a named partner at DonatWald+Haque in Santa Monica, which was later rebranded to Tiny Rebellion, an agency dedicated to effecting positive change through business. There, Haque spearheaded the introduction of a media practice, creating the most profitable division of the agency, including building an analytics practice. Tiny’s client portfolio focused on digital brands including OpenSky, ShoeDazzle, Hotwire, LegalZoom, eHarmony, Bolthouse Farms and TRUECar, all of which started as disruptive challengers. In 2015 Tiny Rebellion morphed into the agency Supermoon, with Haque solely at the helm. The new agency continued its strategy, creative and media offering for digital brands and logged a string of six consecutive new business wins, capped by nabbing TripAdvisor in a competitive review. Last year, Haque spearheaded a merger between Supermoon and Mistress, turning the latter into a fully rounded agency with strong digital and media capabilities as well as business strategy and customer acquisition expertise. Parallel to his advertising career, Haque has long been involved in the LA restaurant scene, with multiple investments in successful Santa Monica restaurants including Rustic Canyon and Cassia. He also founded, built and sold a digital business in the parking space called Curby (now Curbstand), as well as most recently co-founding and strategically selling a technology company in the cannabis space. Haque is also a student of the Singularity University and a leader in the Santa Monica Chapter of the Young Presidents Organization, where he has spearheaded educational events centered on his personal interests of longevity, biohacking and the future.